Remember the old football manager’s cliché: “we are just going to play one game at a time”? This sentiment is just as valid in golf. How many times have you been near the end of a round and thought “all I need to do is finish with a couple of 5’s for my best ever round”, or something along those lines? This is usually followed by a couple of holes that bear resemblance to a middle order England batting collapse. Whilst it is vital to concentrate on just one shot at a time, it’s so easy to let your mind stray ahead. The tournament professionals work hard on these things, and so should you, to improve your scores. In between shots, while walking to the ball, make sure you do not let your mind wander onto shots ahead of the next one. Focus on what you are going to do with your next shot. Evaluate the distance and type of shot you will be playing. This should fill your mind and stop you thinking of anything else. It will also mean you are more prepared to play the next shot when you get to it, with the added benefit, that this will improve the speed of play. If you find that difficult, then the exact opposite strategy may work for you, i.e. in between shots, think of anything but golf. But be careful with this, as some people find it hard to switch back to the moment quickly. Take one shot at a time and make that the best it can be. Let the rest fall into place and see how that helps your closing out of the next golf round you play. 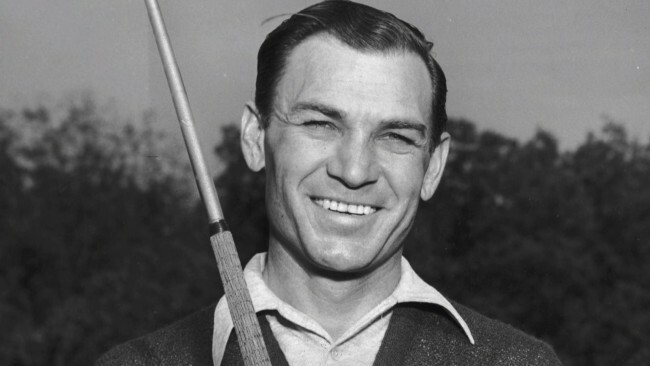 As the great Ben Hogan (above) once said: “The most important shot in golf is the next one”.